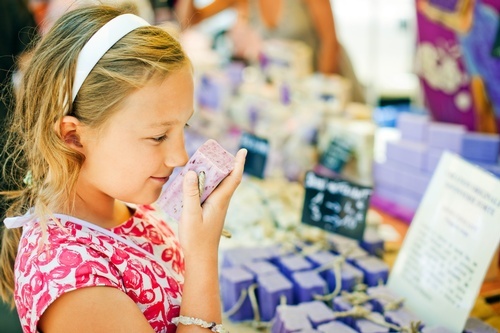 Over 200 artists from throughout the Midwest will sell one-of-a-kind, hand-crafted items ranging from original paintings and yard art to clothing, jewelry, soaps, accessories and more in picturesque La Grange. 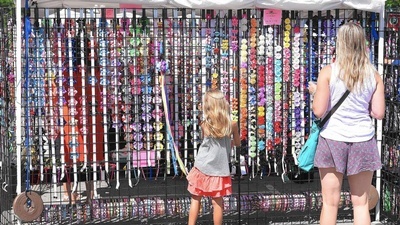 This weekend festival has been a La Grange tradition for 44 years - it's stronger than ever as the interest in owning hand-crafted items is booming. 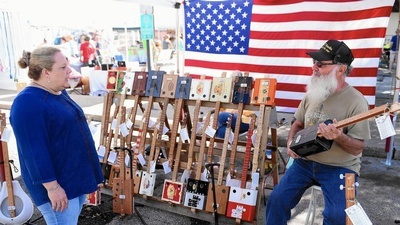 Some hot new items to look for this year include are cigar box guitars, folk art dolls, horseshoe art and upcycled furniture. Selected local stores and restaurants will feature special offers throughout the weekend. Convenient, free parking is available nearby. The La Grange Craft Fair is sponsored by Chiro One Wellness Center - Oakbrook. Come visit their tent near La Grange Village Hall! On La Grange Road from Cossitt to Burlington and on Harris Avenue from La Grange to Ashland. Admission is free. Expanded free parking is available in the covered garage behind Village Hall and in the Cossitt School lot.